New Delhi: Aricent and NASSCOM Foundation jointly announced the launch of ‘Arise by Aricent’ – Aricent Skills for Employability Program, a unique CSR initiative to create greater employability opportunities for 3400 college students, by up-skilling engineering undergraduates across Delhi-NCR, Karnataka, Tamil Nadu and Telangana. The Delhi-NCR region itself will have 1300+ students trained under the ARISE program. 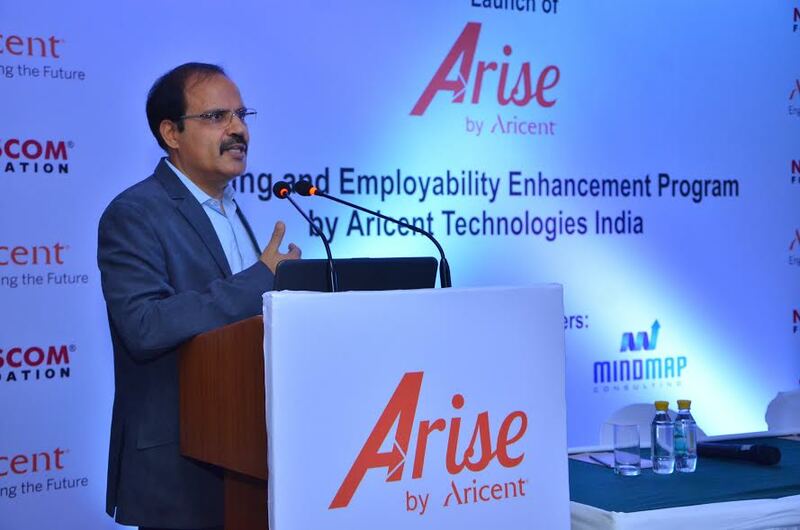 ARISE is a program firmed up by the success of the pilot started by the two organizations last year wherein, Aricent and NASSCOM Foundation were able to train 2700+ students on employability driven skills. Most of the trained students are currently working in top MNCs like Amazon, Dell, Tech Mahindra, and Wipro among others. This on-campus program will engage with 16 Tier-2 and Tier-3 engineering colleges including Bhagwan Parshuram Institute of Technology, IIMT College of Engineering, Greater Noida Institute of Technology & Noida Institute of Engineering and Technology from Greater Noida, ABES College of Engineering, providing the necessary job skills to students from underserved communities. The skills will range from basics like SDLC methodologies, to programming languages like JAVA, and database management languages like SQL, API creation through JDBC, project design, and software testing. This program will also train the students on essentials such as verbal and written communication, business etiquettes, problem solving, time management, customer orientation, interview skills and other soft skills required to enhance their employment opportunities. To develop further insights for the students on what it is like to work in a corporate environment, ARISE will integrate a sustained volunteering program wherein current employees will work with these students as mentors/expert coaches for facilitating students’ gaining from professional experiences of those who are part of the IT/ITes industry. The candidates will be asessed on the NDSC- SSC NASSCOM Qualification Packs (QP) and certified for the relevant job roles, further enhancing the chances of employment. NASSCOM Foundation along with Aricent has identified three training partners, Centum Learning, iPRIMED and MindMap, to carry out the on-campus skills development under the ARISE program. The training will be delivered through a series of online and classroom sessions, including project work and learning events like project competitions, tech talks, Industry leadership talks and Mentorship program etc. Program culmination will include a joint certification from NASSCOM SSC, Aricent, the training partners, and NASSCOM Foundation. The students will also be given placement assistance at the end of the course through regular job fairs and campus connect programs conducted by the NASSCOM Foundation and the training partners.